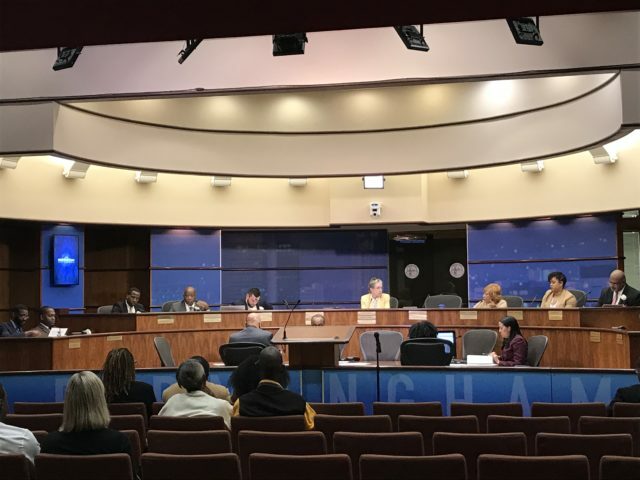 The Birmingham City Council on Tuesday voted unanimously to expand the Druid Hills Urban Renewal and Redevelopment Plan to include the Carraway Hospital Campus and surrounding areas. The adoption of an Urban Renewal Plan area provides the City with a blueprint to eliminate blight and promote redevelopment. The council voted to expand the property to include Carraway and McArthur School, at the northwest corner of 17th Avenue North and 25th Street in Druid Hills, near Carraway Hospital. Michael Ward, senior planner with the city said an Urban Renewal Plan, would allow the city, within an Urban Renewal District, to work with a developer to clear land, construct or reconstruct streets, install utilities and site improvements, and assist with property acquisition. The Druid Hills renewal plan, adopted in 1998, was initially aimed at housing and did not include the Carraway site because the hospital was still open. The site has been vacant now for more than 10 years. “We’re hoping eventually the Carraway project will spur redevelopment opportunities throughout the neighborhood as well as the surrounding community,” said Ward. Corporate Realty—a local commercial real estate firm that handles everything from site development and construction to marketing and management—is looking to transform the vacant 50-acre Carraway site into a mixed-use development that could include residential, retail, restaurants, and office space, as well as a hotel and entertainment venues. Mayor Randall Woodfin said he believes affordable housing can be a part of the redevelopment and the city plans to retain the McArthur School property for that purpose. Council President Valerie Abbott said she drove by the abandoned Carraway site recently and was “horrified to see what it looks like now with all the windows broken out, but we’ve got to respect our neighborhoods . . . people who have chosen to continue to live in our city as opposed to the people who have left,” said Abbott. In other business, Woodfin and the City Council recognized the Birmingham Iron, the new Alliance of American Football team, who will play their first game against the Memphis Express on Sunday, February, 10 at 3 p.m. at Legion Field. Tom Ward, president of the Birmingham Iron, and Joe Pendry, general manager, were in the council chambers. In honor of the team’s first game, Woodfin proclaimed Friday, February 8 as “Blackout Friday” and has asked all residents to wear black in support of the team. Click here to read more about potential development in northern Birmingham.